A compendium of the key numbers, quotes, and stories shaping China, curated from global and domestic news sources. The World Trade Organization revised downward its projections for trade growth for 2019. Originally, it forecast 3.7% growth. In 2018, its initial forecast of 4.4% trade growth fell to an actual trade growth of 3%. China foreign exchange reserves as noted in March, the highest since August 2018. This marks the fifth straight month of growth in China foreign exchange reserves, a signal that hopes remain high that a trade deal will ultimately be reached between the U.S and China. China stock market rally as of April 8, 2019. In the beginning of April, Chinese stocks notched their best performance in a year. The CSI 300 index, composed of major companies listed in Shanghai and Shenzhen, has reached its highest level since March 2018. The latest Asian Development Outlook 2019, ADB’s flagship economic report, said China’s economy is forecast to grow 6.3 percent in 2019 and 6.1 percent in 2020. The ADB report noted that consumption was the main driver of growth in 2018, contributing 5 percentage points, underscoring China’s move away from investment-led growth toward a more sustainable consumption-driven model. The number of unicorns – start-up companies with a valuation of more than $1 billion – that have emerged in Beijing since 2012, according to CB Insights. 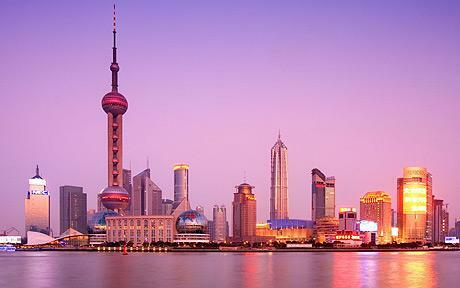 Shanghai, on the other hand, accounts for 11 unicorns in that same time period. Over the past six years, Beijing’s startup companies alone have received $72 billion in funding, ranking the second highest in the world. “US-China trade is about 3 percent of global trade. Automobile trade globally is about 8 percent of global trade. So you can imagine that the impact of automobile tariffs is going to be bigger than the impact of the US-China trade conflict.